Note: An article written by Au Sow-Yee integrating personal stories, proses and self reflections, it could be seen as a reflexive and/or dialectical read to her new collaborative work with TCAC, “To the Party, prelude of Kris Project II: If the Party Goes On.” The text could be evolving as the party goes on, loosely mapped with embedded codes in philosophical text, tales or “sketches” written by the colonists, as well as fictional and real stories during the British colonisation in Malaya and the early formative age of Malaysia, transfixing difficulties of history, time, image and the future. It is also a sequel to Au’s previous article Party, Film (Image) and Its’ Historical Index System. These pages contain no statistics, no history, no geography, no science, real or spurious, no politics, no moralising, no prophecy – only an attempt to awaken an interest in an almost undescribed but deeply interesting people, the dwellers in one of the most beautiful and least known countries in the East. Maybe we should start from a secret. Viewing from my balcony when I was a child. At slightly right of the balcony, is a huge square within the fire department. On some special occasions, people would set up a big screen and projected films. I remember on the balcony, I would sit on a stool, watching the projected films from afar. Sounds of those films were of course not audible. What I heard while watching the films were tropical chirping of cicadas, cawing of crows, sometimes sounds of the city, or calls to prayer broadcasted by the mosque. This is my earliest memory on asynchronous sounds. At the left of the balcony is Pudu jail. It is said that the jail, founded by the British and began its service in 1895, was built above the ground of a cemetery. 1895 was the year when film was born, said by most books of film history. The jail was to detain war prisoners during Japanese occupation of Malaya in World War II. About half year ago, I was told by my father that his cousin had been an anti-Japanese guerilla of the Malayan Communist Party. The Japanese army imprisoned her during the occupation. At that time, my grandma lived in a house near the railroad, not far from the jail. One night, her comrades rescued her and secretly sent her to the my grandma’s house. She was hidden in a secret compartment under the floor, avoiding pursuit of the army in result. Later, the Japanese surrender. However three years after, the Malay Emergency began. It was during the time of British Colonization. My father’s cousin had to end her comradeship in the party before 1948. It is said that she married a random man, and for the rest of her life, she was a manager of her family’s Cantonese restaurant in Kuala Lumpur’s old town area. These images, sounds, those scenes in memories, from both the left and right parts of the balcony, are all intertwined and merged into a film in my mind, so real, yet also fantastical. 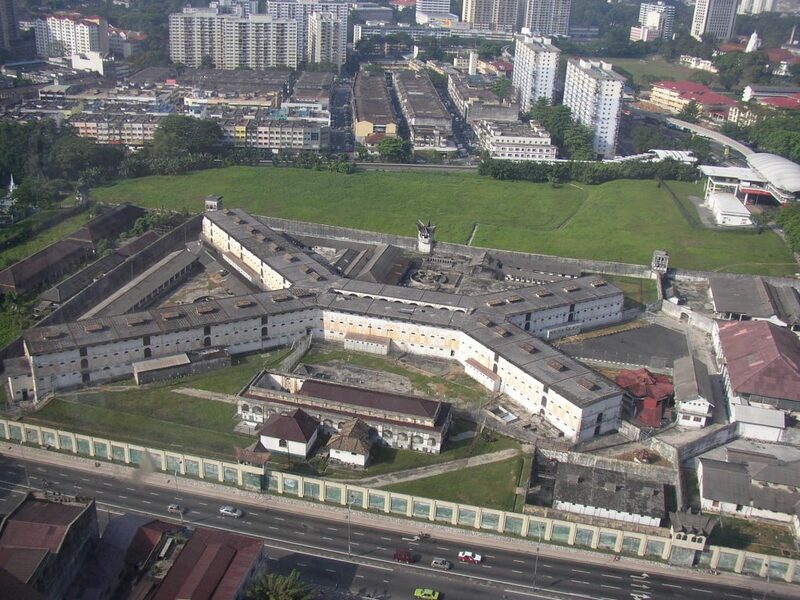 At the far left from the main gate of Pudu jail is Victoria College, the elite English educational center during British colonisation. It is also the college where Loke Wan Tho, the owner of Motion Picture & General Investment Co Ltd., attended. Two of the founders of the college are Malayan tin-mining tycoon Loke Yew, Loke Wan Tho’s father, and K. Thamboosamy Pillai, one of the earliest Indian businessman introducing workers from India to Malaya, also the business partner of Loke Yew. Perhaps it is the unprovable secrets that make history intriguing and difficult. Secrets aggregate into a web, upon which those dimensional (historical) time (images) intersects. Secrets are like floating coordinates, gravitating toward each other, negotiating the clues they cling to. The rhythm and gestures of the negotiation process differ and change constantly, tight or loose, fast or slow, sometimes stuck, moving backward or forward, clockwise or reverse, slipping or jumping, heavy or light or difficult to move even a step. 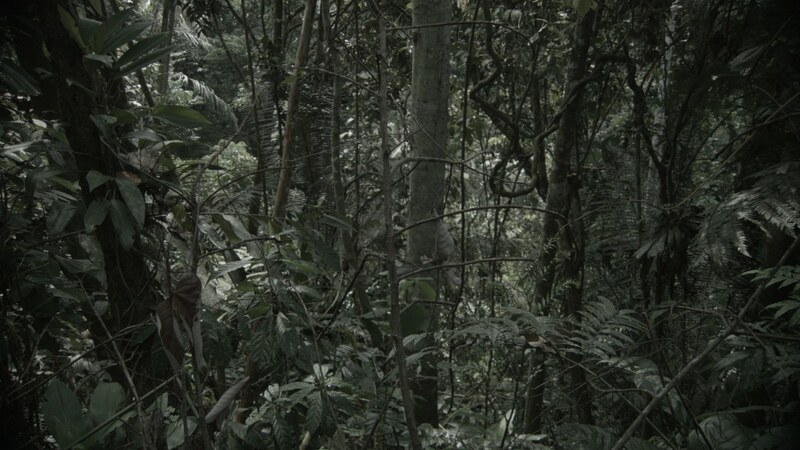 Within difficulties lie variable sounds and colors, as in a tropical forest where it’s hard to tread, where leeches crawl on the ground or hang on trees, demonstrating proximity to the critical point of their bodies. Sounds scattered around in the forest. Bodies, remains and echoes left in the woods during the Cold War era, interweaved with flora and fauna and constructed images of the difficults. It seems that there is radiance of history that is though unseen, yet summoned in the call of a Shaman; there lies the color of looming red. A pencil sketch was displayed at the exhibition site of Pemetaan / Mapping: Malaysian Modern Art History. 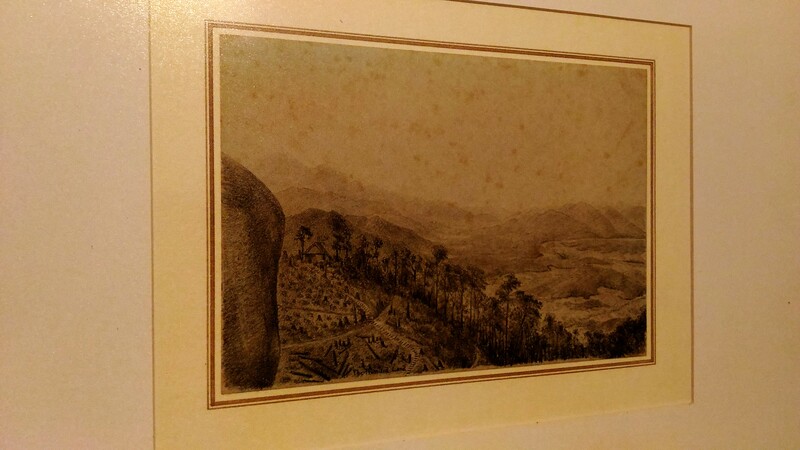 The sketch is marked in the original sketchbook with this description: “A view of valley of the Perak River from manor of seclusion… toward Pattani” (authorship unknown). The drawing is titled with “promised land.” It may also reveal that in the design of Swettenham, the next step of colonial expanding is not only the railroad, but political control of the south Thailand. Sir Frank Athelstone Swettenham was the Resident General of the Federated Malay States from 1896, and also the Governor of the Straits Settlements afterwards. 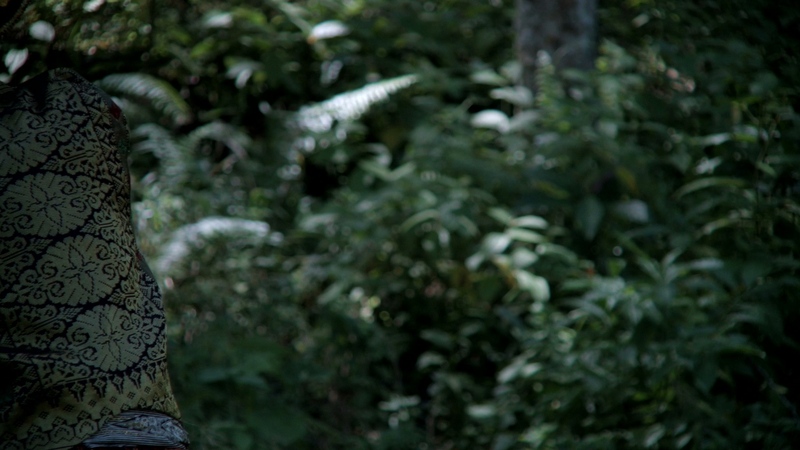 In 1870s, Swettenham, accompanied by a painter, went into the deep forest on the Malay Peninsula. At times he would aboard a Perahu and sail on river, sometimes led by special commissioner of Malay sultan. The commissioner wearing sarong appears from time to time in sketches of the painter. I wonder if there may be some afternoons when Swettenham in his rest, he would also wear a sarong and enjoy the coolness of the river. Perhaps, on the day when the rich merchant Jim Thompson was missing, he might also tell his servant some things to do in his Moonlight Bungalow on Cameron Highlands. The servant might also wear a sarong, like those depicted in William Somerset Maugham’s novels set in Malaya or Borneo. In 1967, Thompson arrived at Penang and met his friend. On the afternoon of March 26th, he waved goodbye to his friend and went strolling on his own. There is no sight of him since then. In that year, rumors were raging that Thompson had been eaten by a tiger in the forest. Perhaps he did not disappear, just changed his identity. Sharing similar fate with Loke Wan Tho, disappeared in life during a plane crash at Shenkang, Taichung on the year 1964, or the writer and secret agent Maugham. They were all perhaps sending Morse code in different missions, putting themselves in different names and appearances. Sky and the dark forest, under the moonlight they are like mirrors refracting each other. Within the mirror is the resounding of prayers. Oh, and the moon is new, yellow and sharp, like fire. The fire burns up to the present day. It is like early 20th century, when images arrived here for the first 35 time, people worried about images would be burnt and destroyed. To the liminality of madness, burning or being burnt out, put each other to death. If so, we would have no future. Perhaps, the difficulties of historical / time (image) is the fact that when we are immersed in the ecstasy of burning out the history, we may burn out our future unknowingly. Frank Swettenham, Malay Sketches, 1903. An excerpt from Walter Benjamin, Theses on the Philosophy of History. An excerpt from Frank Swettenham, “Berhantu”, Malay Sketches, 1903. Quote from Pemetaan / Mapping: Malaysian Modern Art History on site; author unknown. An excerpt from Georges Didi-Huberman, “La mémoire brûle”.